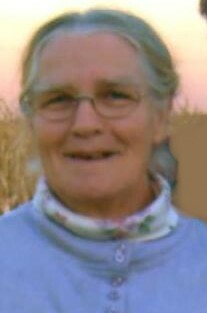 Obituary for Carol C. Foertsch | Fox Funeral Home, Inc.
Carol C. Foertsch Nelson, 74, of Butler passed away on November 30, 2018 at the home of her sister. Born June 21, 1944 in Natrona Heights, she was the daughter of Wilbert John Foertsch and Dorothy Finley Foertsch. Carol helped her husband who managed several Exxon stations, she worked at Boldys Doughnuts and also helped on the family farm. She loved flowers, buying and planting them was her greatest joy. She sewed for friends and neighbors and enjoyed going to car shows. Surviving are 5 brothers, Harold Foertsch of Butler, Vernon Foertsch of Saxonburg, Errol Foertsch of Butler, Wilbert Foertsch of Hurricane, WV and Garry (Barb) Foertsch of Cabot, 3 sisters, Leona Wills of Mars, Mary Alice (George) Shuler of Butler and Karen Foertsch of Butler. Also survived by many nieces, nephews, great-nieces and great-nephews. Friends will be received on Monday, December 3, 2018, from 1:00 pm - 3:00 pm at Fox Funeral Home, Inc., Saxonburg, PA, funeral services will follow at 3:00 pm with Rev. Roger G. Keller officiating. Memorial donations may be made to the Grane Hospice 260 Alpha Drive Suite 100, Pittsburgh, PA 15238 or St. Luke's Lutheran Church in Saxonburg.